Tetiana Fydorenchyk is a Marketing Director at Jelastic. Tetiana provides executive leadership of Jelastic marketing activities worldwide, has a rich experience of participating at IT conferences and community meetups, producing tech oriented content for developers and hosting providers, arranging DevOps webinars and providing marketing trainings for the partners ecosystem. What Does Multi-Cloud Brings to Your Business? Choice of Solutions/Features: Using multiple clouds gives you more choices. All cloud vendors have their own set of strong points and features that differentiates them and makes them the best choice for a specific need. Leveraging several clouds from different vendors lets you combine each strongest option required for your company. Improved Availability: “Don’t put all your eggs in one basket.” The diversification of workloads across different clouds can not only improve latency but also guarantee a higher level of availability. Utilizing redundancy in infrastructure and software maximizes fault tolerance, as well as optimizes availability and performance. Even if the vendor is proven, no service is immune from common technical failures or mother nature (natural disasters, etc.). So the best solution for your project might be to have at least two synchronized replicas of the application in different data centers. Distribution of the services across multiple vendors is a classic approach to mitigate the risk of application outages, downtime and data loss. Cost Optimization: Each cloud offers different pricing models for a specific range of resources and services. So there is the option to mix and match the offerings from a variety of vendors in order to meet not only technology needs but also available budgets. We suggest a workload performance analysis of different clouds and comparing the results. In this way, you can project the TCO in each cloud and identify which one meets performance requirements at the cheapest cost. Right Choice of Needed Tools: According to Accenture, more than 70% of enterprise organizations surveyed said that they don’t involve internal IT staff in the process of cloud service selection. This can lead to multiple cloud services with different tools, but lacking the critical functionality your IT team requires on a day-to-day basis. Vendor Lock-In: Moving from one vendor to another is not a trivial task. The complexity of multiple clouds and the need for workloads to be interconnected will seem daunting. However the inertia of vendor lock-in, while an easier path right now, will limit the flexibility of where your organization may need to go in the years ahead. So build your strategy to take full advantage of the opportunity to shift vendors when it is dictated by changes that negatively affect performance, business needs, support or cost. 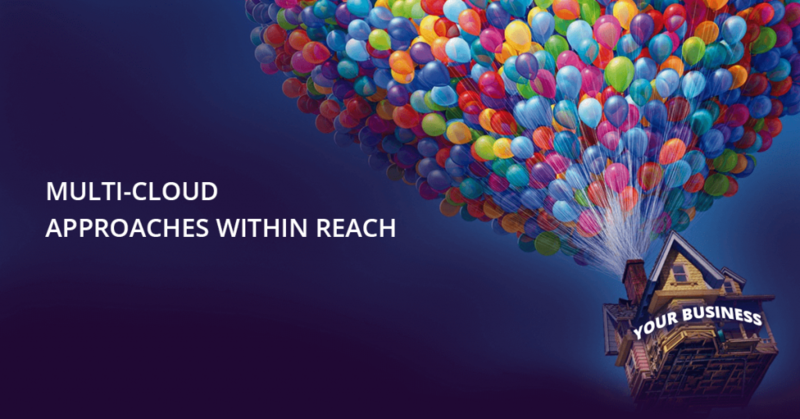 Try out Jelastic multi-cloud PaaS with infrastructure and support from local hosting providers in 29 countries https://jelastic.cloud/ Start with one, gradually mix and match different regions, data centers and clouds while growing your project.